Here it is folks, the March 10-60x52mm, the most powerful premium zoom rifle-scope ever offered to the public. There are three prototypes now in the United States. One is on Don Nielson’s 6.5×47 Lapua Bench gun. He shot that rifle this weekend in Sacramento at a 600-yard match in Heavy Gun class (though the rifle is light enough to shoot in Light Class). Don’s results speak for themselves–Don finished first in HG Agg., LG Agg., HG Score (283-3X), 2-Gun Score (421-3X), and 2-Gun Aggregate (3.0xx”). The HG score, 2-Gun score, and 2-Gun Agg are all new NBRSA records for the new target with its tiny 1.2″ X-Ring. Yep, that’s a pretty good showing for a scope in its first-ever match (and yes, you have to credit Don’s great shooting as well). The March showed itself to be very reliable and repeatable. The big question we had “can it resolve 6mm bullet holes at 600 yards?” was answered with a resounding “Yes!”. Don tells us that, with the 10-60x March “he could see bullet holes very well in the white.” In the light blue section of the target, holes were harder to see but Don could still clearly see where his group was forming up. We’re pleased to see that the zoom March offers 60 MOA of elevation–good enough for 1000 yards. 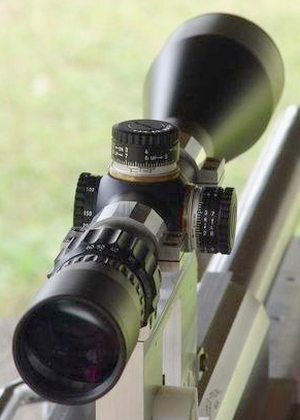 The scope has a 52mm objective, 30mm main tube, 40 MOA of windage, and weighs 24.8 ounces (704 grams). It has a side-focus parallax control, 1/8-MOA clicks, and focuses from 50 yards to infinity. Currently, the only reticle choice is a 1/16-MOA dot, but that could change with production models. Apart from its anticipated $2500-$2600 price, the only negative concern we have with the new March scope is the exit pupil. Even with a generous 52mm front objective, the exit pupil is under 1mm at 60-power. That’s very small and will make head/eye position very critical when using the March at full magnification. The top photo below shows the March on Don’s trademark orange rifle. 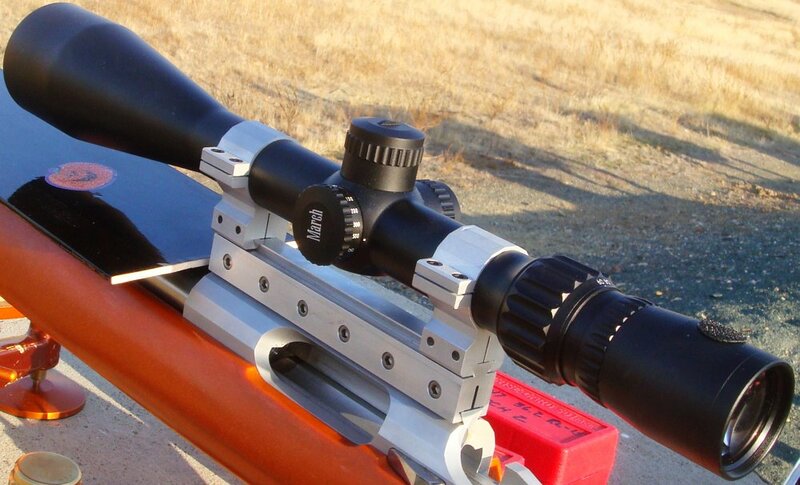 Share the post "Nielson and new March 10-60x52mm Scope Shine in Sacramento"
Olin Corporation (NYSE: OLN), makers of Winchester Ammunition, announced today that it signed a definitive agreement to sell its Metals business to a subsidiary of Global Brass and Copper Holdings, Inc., an affiliate of KPS Capital Partners, LP, for a purchase price of $400 million. The sale includes all of the Company’s worldwide Metals operations, including its manufacturing facilities in Illinois, Ohio, Connecticut, and Missouri, as well as its A. J. Oster metals service centers. The sale is expected to close in the fourth quarter of 2007. Olin will continue its Winchester Ammunition operation, which supplies Winchester® sporting ammunition, canister powder and reloading components to recreational shooters worldwide and to military and law enforcement agencies. Share the post "Olin Sells Metal Business — Retains Winchester Ammunition Operations"